Has your family been in the grip of Olympic fever for the last couple of months ? Have you and your kids been avidly following the sports section of the newspapers to read about the contenders for this year's Olympics and felt awed by the yesteryears' stars and their achievements ? Have you been feeling obsessed like me, wanting to show Nadia Comaneci and Jesse owens movies to your kids, having felt so inspired when I watched them as a kid, on the television ? Then here comes the perfect book on the Olympics with an Indian flavour making it so special. Ever since I heard of the book release by Tulika, I have been eagerly waiting to get a hold of it. Today as the book arrived, I just could not contain my excitement, what with the just concluded Opening ceremony and events being live telecast on sports channels. The spark of the Olympics is definitely in the air ! Starting with the history of the games briefly, the books takes us through the evolution of games from the ancient times to the modern times, the changes that have happened and the people who have shaped the games at various points in history. The humorous cartoons and the mind boggling facts presented in boxes, give a perfect balance in terms of the information presented to the reader. 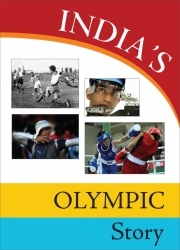 Slowly from the global angle, the book moves into the involvement of various Indians at the Olympics. The individual stories of each of these sportspersons are very humbling, inspiring and make you sit back and admire them for who they are/who they have been. As I read the stories of Deepika Kumari, Mary Kom, Abhinav, P.T.Usha to my kids, I could feel their complete involvement, as they tried to digest that behind a glorious moment, lie years and years of hard work, determination and passion. I personally learned a lot about Dhyan Chand (the hockey player) and K.D.Jadhav (wrestler), the early Indian achievers. My son, who loves athletics and is a die hard fan of Usain Bolt, kept ruminating over Usha's missed bronze at the 1984 Olympics by One hundredth of a second. The book also has extensive details on Paralympics and the Indians who have represented in these games. Needless to say, every achievement speaks of the human will to conquer the impossible. What I found really appealing was that after every story, references to the books and movies related to that particular sport have been listed. At the end of the book, more pointers have been given to books, movies and websites related to Olympics and sports in general. So it gives a further opportunity to explore your areas of interest. That's exactly what I have been trying to do the last month - figuring out children's books related to athletes for my son and also showed them some wonderful movies, which represent the spirit and the values embodied by the Olympics. As I put down the book after the first session with my kids, I could see that they had a distant look in their eyes, questions were buzzing around in their heads and may be they understood that every Abhinav Bindra or a Mary Kom today, had been as little as they are now and may be that's when the quest to excel in a particular sport began ! This book would be a perfect accompaniment to the ongoing London Olympics:-). So glad you enjoyed the books!! The first para totally describes us- so thanks R for bringing this book to our notice! Picking it up ASAP. Interesting. Will buy this soon. on a different note, sudha murthy has written some books for kids. can someone review them here, please? Thanks Lavs for your comment. 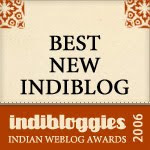 Will definitely think about the books by Sudha Murthy. R, got the book recently. Awesome book and review!